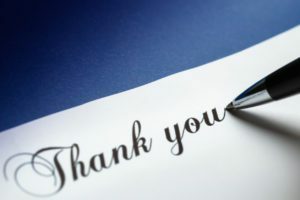 MANCHESTER – In early January, The Ambulance Service of Manchester received a hand written thank you note addressed to Paramedic Robert Balkun and EMT Mike Sparks. The note, as depicted below, is in regards to a transport completed a few weeks prior. The EMT team tried to make the transport as pain free as possible. They kept talking to me the entire ride to the hospital. Someone stayed with me the entire time at the hospital (I was alone) until I was put into an ER room. This entry was posted in ASM Company News, Company Philosophy and Thought Leadership, Employee Spotlight, From the Team, Staff News, Thank You Letters and tagged Ambulance companies in Connecticut, Ambulance Service of Manchester, Mike Sparks, Robert Balkun by ASM-Aetna. Bookmark the permalink.